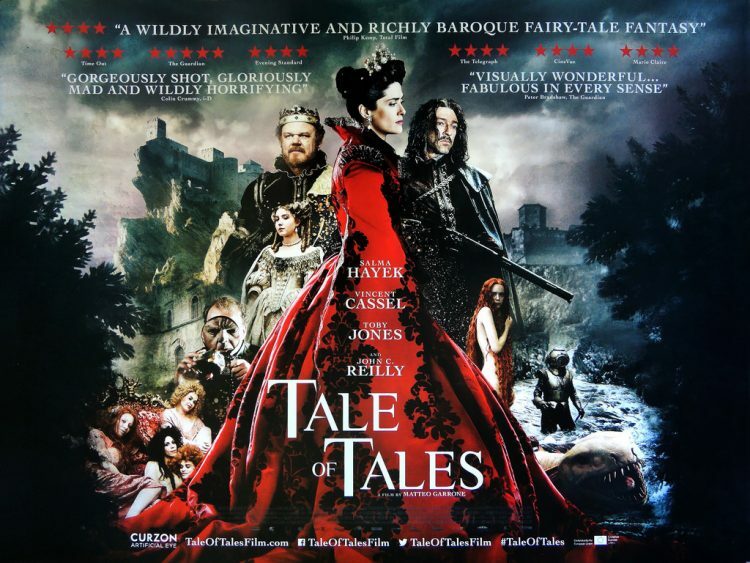 Adult-orientated fantasy adapted from the stories of Italian poet Giambattista Basile, Tale of Tales serves as a reminder that there is nothing inherently infantile about fairy tales in their purest form. An unkindly reductive description might be Eurotrash fairy tales, between Vincent Cassel’s debaucherous king, the jealous motherly love of Salma Hayek’s queen and a clowning Toby Jones (who did, after all, attend the school of Jacques Lecoq in Paris). To the extent that there is a running thread between the various stories, it is that any desire for change in one’s circumstances is inherently violent and has a corresponding cost, whether it is borne by oneself or by others.